Ingrid Palmer is a YA Author who writes stories about family dynamics, the nuances of friendship, and all the emotions that accompany the brave act of growing up. She lives in a Colorado mountain town with her husband and two sons, surrounded by herds of elk, an occasional black bear, and endless evergreen trees. "An exciting introduction to a talented writer." "An excellent selection for YA shelves." I’m going to ALA Midwinter Conference in February! 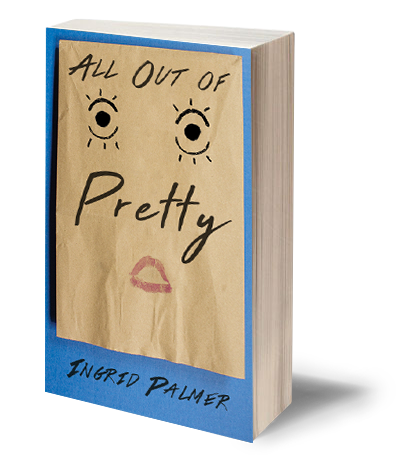 Hi y’all, I’m so stoked today because I get to officially reveal my cool cover design for ALL OUT OF PRETTY! Check this baby out! Also: ICYMI I now have a release date— April 3, 2018! Would you like to receive occasional updates from Ingrid? Sign up for her newsletter to receive book news.